While receiving the terrible news about the Malayasian Airlines crash, I suddenly thought about an old book I read many years ago. Victor Frankle´s Man´s search for meaning. I can recommend the book to everyone, but the reason why I was thinking about it was the crash, crisis and decent man. Yes, decent man! Here is the quote from the book: Frankl concludes that there are only two races of men, decent men and indecent. No society is free of either of them, and thus there were “decent” Nazi guards and “indecent” prisoners, most notably the kapo who would torture and abuse their fellow prisoners for personal gain. This is what is happening with this crash too, the indecent men are already covering up, taking there excuses and position of power, while they do not care about the victims at all. While a lot of decent men are praying and asking to make a point of gathering together to be united as people together. It is with these moments I really see how it goes in business and social life and that I truly want to be surrounded by decent men. The most important thing about Dr. Frankle is he identifies three psychological reactions experienced by all inmates to one degree or another: (1) shock during the initial admission phase to the camp, (2) apathy after becoming accustomed to camp existence, in which the inmate values only that which helps himself and his friends survive, and (3) reactions of depersonalisation, moral deformity, bitterness, and disillusionment if he survives and is liberated. Concerning the crash this will be the survivors or worse the close relationships of the victims. Also here you will have the light hearted people who say life goes on, the people who are relating it to their own crisis or life. 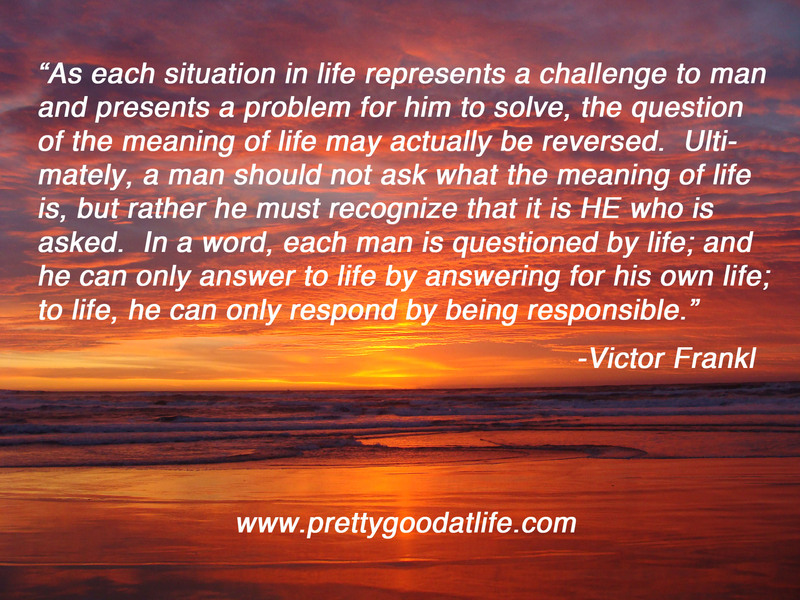 This last point is evident, because the meaning of life is YOUR life and you are the only one who can answer this. So while I am writing this I realise once more, let´s unite as people and let´s be decent man. In whatever you do and achieve in life in good and bad times, life has always a meaning. I cannot decide what the meaning of life is for you, but want to give all people hope, strength and responsibility in all times, while my thoughts are with the people who need it most in these ´crazy´ times of the Malaysian Airlines crash.